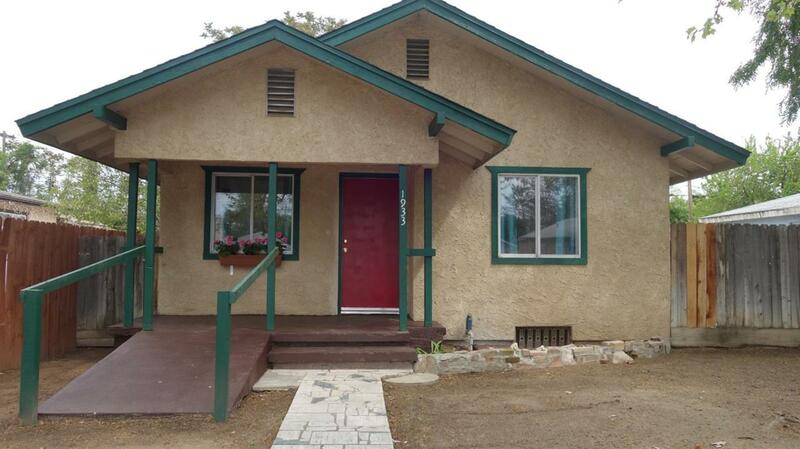 This stunning, nicely updated 5 bedroom, 2 bathroom home is located in a quiet neighborhood. The kitchen has an inviting breakfast area, is sparkling clean, has new flooring, beautiful white cabinets, and granite counter tops. All four walls in the bathroom are tiled, and the bedrooms are good sized with lots of storage in the hallway. The huge 5th bedroom has its own bathroom and could be used as a mother in law set up. The long concrete driveway is gated to keep cars/RV safe. Throughout, you get the feeling of a brand new home with fresh paint, new doors, and newer flooring and cabinets. An inside washer/dryer hookup, 2.5 ton air conditioning Unit, large backyard, and friendly neighbors are sure to provide a comfortable life in this charming house.